This poster made me realize just how much I associate Conan with the Governator. The image doesn’t show Conan’s head (as far as I know the actor hasn’t been cast yet) but just by seeing the body and the sword I immediately imagine Schwarzenegger’s head on top of it. 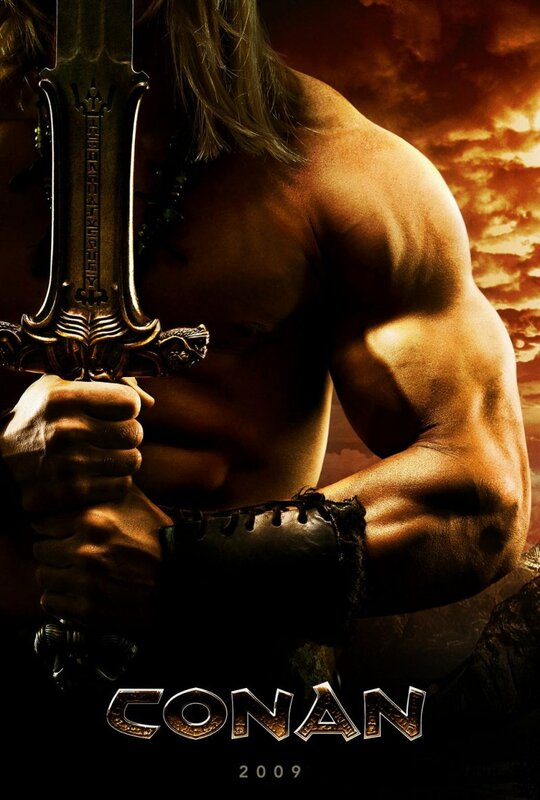 This poster seems to indicate that they intend to go with someone of Schwarzenegger’s build for the next Conan. That’s their choice, and I understand it. I guess that for most people Arnold is Conan, and they want to make this seem like a continuation of the early movies. If they chose someone less musclebound it might not seem like the same character. But the comparisons are going to be something they might have some trouble dealing with. Say what you want about Arnold’s acting skills, but the guy obviously had (and has) charisma in spades. Matching that and the build is a lot to ask. I sweared it was Triple H!